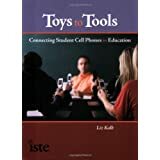 From Toy to Tool: Cell Phones in Learning: No need for "clickers" when you have a cell phone! 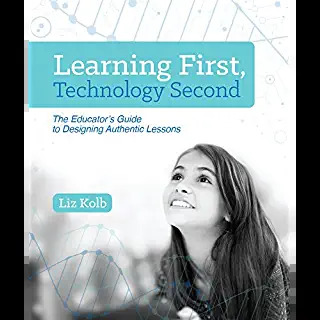 I have written before about trying to find a way for basic cell phones to replace the expensive classroom performance systems (CPS). 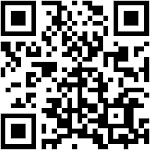 Last week I posted about Wiffiti, an instant brainstorming tool that uses cell phones like CPS clickers. Now, I have found another web2.0 that works in the same fashion as a CPS tool. It is called Polleverywhere. Polleverywhere is a site where you can create instant mobile polls. The polls utilize text messaging, so you get a text message number to "vote" for your selected answer (similar to the American Idol text message polling). Anyone can create an account and get 100 free instant poll responses (after 100 you must pay for them, so keep your polls to the first 100 people). Fantastic! So teachers can project the poll results graph (which includes the text message numbers for the different poll options) in the front of the class. Then students can take out their cell phones and text their option. Students will be able to instantly see the poll results on Polleverywhere. You can also embed polls into a PowerPoint presentation (they will automatically be updated as long as you have Internet service) and the results can be exported (for students studying statistics and graphical illustrations this may be useful). Finally, if students do not have cell phones they could vote online. Polleverywhere could be a great "ice breaker" activity to find out what students know about a topic. 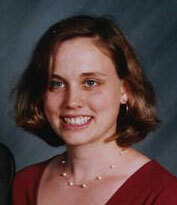 For example, the teacher could post a concept such as "photosynthesis" and include four different definition options. The students could text their definition choice to the instant poll. Then after seeing the results, the teacher could ask the students to turn to the person on their right and "defend" their definition choice in the poll. Ten minutes later the teacher could ask them to complete the poll again with their cell phones to see if their "discussion" with their classmates caused any changes in their definition selection. I've posted a "Poll everywhere" poll here (Polleverywhere does not really have an embed option yet so I "forced" it into my blog), please feel free to text your answers. 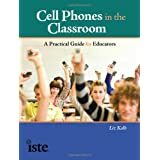 The question is "Would you use cell phones in your classroom for teaching and learning? Text 1033 to 41411 Yes! The nice part about this tool is that schools can save money on hardware. Students (and their parents) have already invested in hardware - the savings can be reinvested in the school! This is also a space saver as there is no storage necessary. A nice way to incorporate tools that students already possess! I agree with you Rob, schools spend so much money on "clickers", that they could use a resource that students already own to do the same activities! 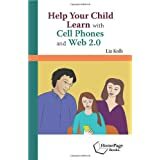 I'm sure in the next year there will be even more (there are probably some right now that I am just unaware of) web resources that couple well with cell phones for these activities. It's great to see powerful devices like cellphones put to use in the classroom. Instead of banning them during class, they should be recognized as a learning tool.